We did make a difference to the poorest children across the world this year by taking part in the annual CSV Make A Difference Day Campaign. We called on all our volunteers, the Community Care Craft Club and Stokesley Day Centre clients to get knitting!! 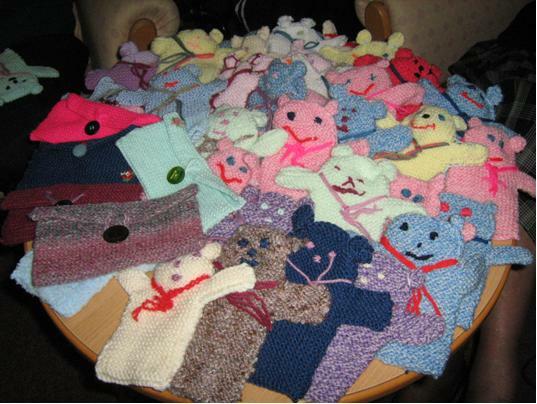 Between us all we knitted 60 teddy hand puppets and 6 purses to be included in Christmas Shoeboxes which are sent across the world to the neediest children at Christmas time. WELL DONE EVERYONE THAT TOOK PART & THANKYOU!